With historically low housing inventory in many cities, people who want to purchase a new home often find themselves in a cart-before-the-horse scenario, requiring them to purchase a home before their current home is listed or sold. The limited supply also guarantees stiffer competition among buyers, with some coming pre-approved, pre-qualified or with cash in hand. For this reason, many sellers may not be interested in working with contingency offers. So what are your options if you need to sell your current home in order to purchase the new one? A bridge loan covers the interval between two transactions, generally giving you the flexibility to buy one home and before selling the other. While a bridge loan does give the borrower flexibility in terms of not having to rush a sale or purchase – or move twice, it does come with challenges. For starters, borrowers must have the financial ability to take on two mortgage payments with accruing interest. And, while terms vary, these short-term loans typically carry a higher rate of interest. 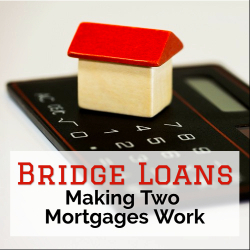 For those who may not be able to qualify for a bridge loan or are wary of the risks, there are other options to help bridge the gap between the purchase and sale of a home. A Home Equity Line of Credit (HELOC) is an excellent way to secure the finances needed using the equity in your current home. Based on the equity value, you can take out as much or as little as you need over time. While it doesn’t offer the payment flexibility of a bridge loan, it does have a lower interest rate and, with good credit, is much easier to obtain. HELOCs are usually set up as interest-only loans, so you are not required to make payments toward the principal. In this case, you can make the minimum payments until your home is sold and then pay the total amount back. The only stipulation is that you must obtain the HELOC prior to listing your home on the market. While the HELOC acts as a revolving line of credit, a standard Home Equity Loan (HEL) requires that you borrow a fixed amount of your home’s equity and make payments against the principle and interest immediately. Most people find the HELOC to be a more versatile option in these types of circumstances. Borrowing against 401k accounts or other physical or financial assets such as stocks, bonds or insurance policies can provide funds during the buy/sell interim. Much like a HELOC, these may be interest-only loans that will be repaid in full once the home sells. If you find yourself in the precarious space between buying and selling a home, enlist the help of trusted professionals who will work closely with you during the transition. Your banker or mortgage pro will be able to analyze your individual circumstances and goals to determine what loan products or options will work best for you. Working in tandem with an experienced Realtor also provides invaluable information and guidance when it comes to monitoring the market and forecasting the best time and price to list your home for optimal selling. 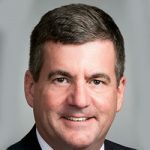 Brent Adams (NMLS # 779816) is Senior Banking Officer of Private Bank of Buckhead, which includes Private Bank of Decatur, for which he serves as President. The bank is a division of National Bank of Commerce. BrentAdams@PrivateBankOfBuckhead.com or www.PrivateBankOfBuckhead.com. Member FDIC. Equal Housing Lender. Offer of credit subject to credit approval. Bank NMLS #514390.